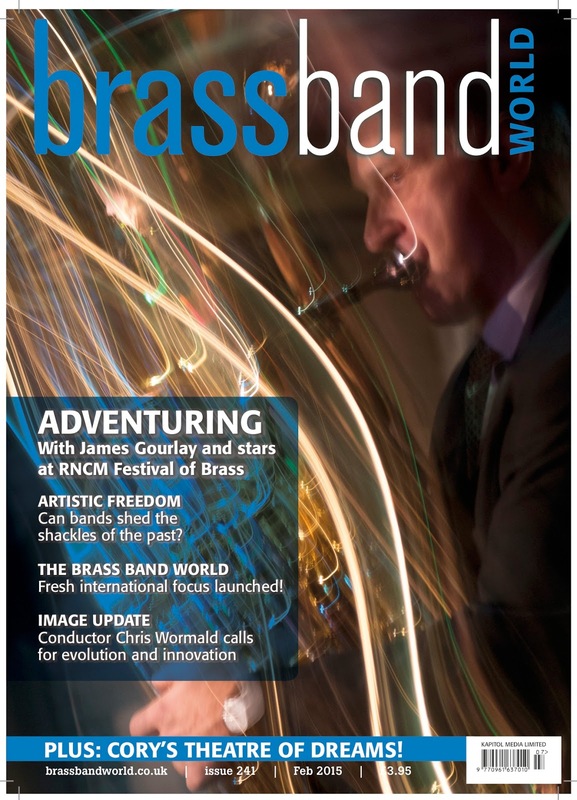 Brass Band World: February Edition Out Now! Mark Good chats to the young principal cornet of Brass Band Willebroek, Lode Violet, exploring his exciting playing career to date and what the future holds. Seasoned conductor, Jeremy Wise, looks back on Brass in Concert's experimental mission statement laid on in 2012. Has it resulted in the sense of artistic freedom that they hoped for? After Brass Band World features on their blockbusting 2014 season, meat the faces behind the new generation Black Dyke Band. Flowers bloom in Skegness, Steve Jack reports on all sections from the recent Butlin's Mineworkers Championship. Know the Score, Dr Stephen Allen pays tribute to the late Ray Steadman-Allen with a study of his 'On Ratcliff Highway', including an additional salute from composer Edward Gregson. Cory's Theatre of Dreams, meet the Cory Band in their brand new Rhondaa based bandroom.